Akicity Lisboa Star is a beautiful and modern self catering apartment located in the heart of downtown Lisbon with 2 private car parking spaces underground. This modern and contemporary style furnished Akicity Lisboa Star Apartment with wooden and heating floors, high ceilings, is equipped with air-conditioning throughout, separate living room with two large sofas, TV and high speed WI FI. Akicity Baixa In Apartment is located on the 3rd floor of a typical Lisbon building, it has space for you and your travel companions. 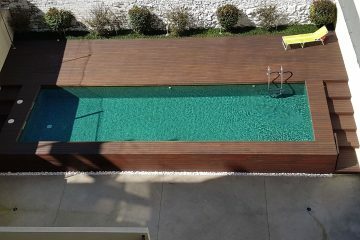 Six guests can stay in Akicity Baixa In. It features one double room and one twin room. The apartment is also composed by a recently renovated bathroom. Expect all the confort you’re looking for. The living room it’s wide and features a sofa bed were two guests can sleep. The kitchen is fully equipped and prepared for your experiences in the art of cooking Portuguese dishes. Perfection comes with practice! Located in the heart of the Alfama neighborhood, Akicity Alfama Senses is the perfect choice. Good views, historical places, wonderful food and music and magical places, you can find it all here! Want to come to meet Lisbon and don’t know where you can stay? Akicity Baixa Classic apartments are a great choice for you in the heart of Lisbon. 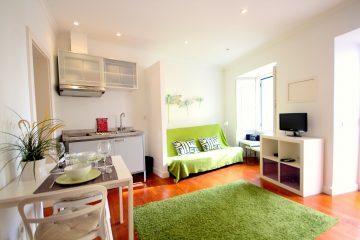 Akicity Baixa Star III apartments are located in Baixa, Lisbon, close to all the attactions you need to see!